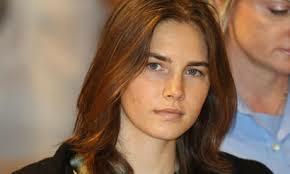 So the verdict came down in Italy today and Knox has been found guilty. Remember she was guilty for the murder of her roommate then not guilty and now she is guilty again! Her response? “They’ll have to pull me back kicking and screaming to prison.” Another source says she is frightened and saddened by the conviction. I do not know enough about this case to give my opinion- any one out there want to give me theirs? This entry was posted in Uncategorized and tagged Amanda Knox, guilty, murder. on January 31, 2014 by edimminger. We finally have a date for the retrial of the penalty phase in the Jodi Arias murder trial. Judge Stephens set the retrial for March 17th, but expect at least two weeks for jury selection. There will be no live streaming or media of any kind (including live tweets) so I will post updates as I get them. I have a link below -you may want to watch the video, the gentleman claims this was never a death penalty case I beg to differ! This entry was posted in Uncategorized and tagged jodi arias, penalty phase., retrial, Travis Alexander on January 14, 2014 by edimminger. Arias’ Cellmate Tweets The Truth! 1. She catches Jodi in lies – about her brother running her facebook accounts. 2. Jodi apparently admitted her own Twitter account is a lie. 4. Implies Jodi admitted lying to Troy Hayden (FOX news). 5. Made threats regarding the prosecutor- Juan Martinez. 7. 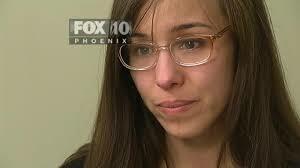 Says “I NEVER (1) time ever witnessed Jodi Arias cry…and I lived with her for 37 days!” (No surprise there). 9. 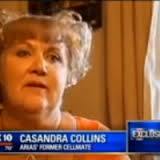 Casandra says: “Jodi has no moral compass.” (Knew that too). 10. Says Jodi demonstrated no remorse and bragged openly that she murdered Travis Alexander. There is more so check out the link- you will have to scroll down. This entry was posted in Uncategorized and tagged casandra collins., jodi arias, murder., Travis Alexander, trial, tweets, twitter. on January 6, 2014 by edimminger. Things are getting interesting as the trial nears. The best info out there tends to be on the Justice for Travis facebook page (I have the link below). I do not think it is right to copy entire articles as that robs the original authors so please check out the link (I will give you just a hint of the stuff that’s going on). 1. Jodi is selling wrist bands. She should be selling Ginsu Knives. 2. She also got into a Twitter Debate with her ex-cell mate (there is a link on the site below). Then she deleted her tweets…but the prosecutor can still find them! Her celly had claimed she wanted Juan Martinez killed. 3. Jodi is now featured on the series “Snapped’ – Oxygen channel. Though I am pretty sure this was not a case of snapping…when you travel from North California to Arizona with a gun and a knife that’s not snapping in my book. 4. Steven Alexander wrote to the site below (you will need to scroll down a ways) and mentioned the trial is due to start mid- February and that the family wants to see justice done. We certainly have waited long enough for it. This entry was posted in Uncategorized and tagged jodi arias, juan martinez, murder., Travis Alexander, trial on January 4, 2014 by edimminger.